This was a different SOTD for me. The brush and soap were newcomers to my daily regimen, and this was the first time I have ever shaved with either of them. The fern is a blend of EOs, absolutes, and a touch of coumarin I made up a few years back to try to emulate classic English fougeres: lavender, bergamot, geranium, and oakmoss are the central notes, with touches of rosemary, vetiver, sandalwood, patchouli, and the aforementioned coumarin (the only synthetic ingredient I used). I touched up the fragrance blend to brighten the topnotes before adding it to perfumer's alcohol to make the EDT splash. I'm very proud of the blend and nearly out of the soap. 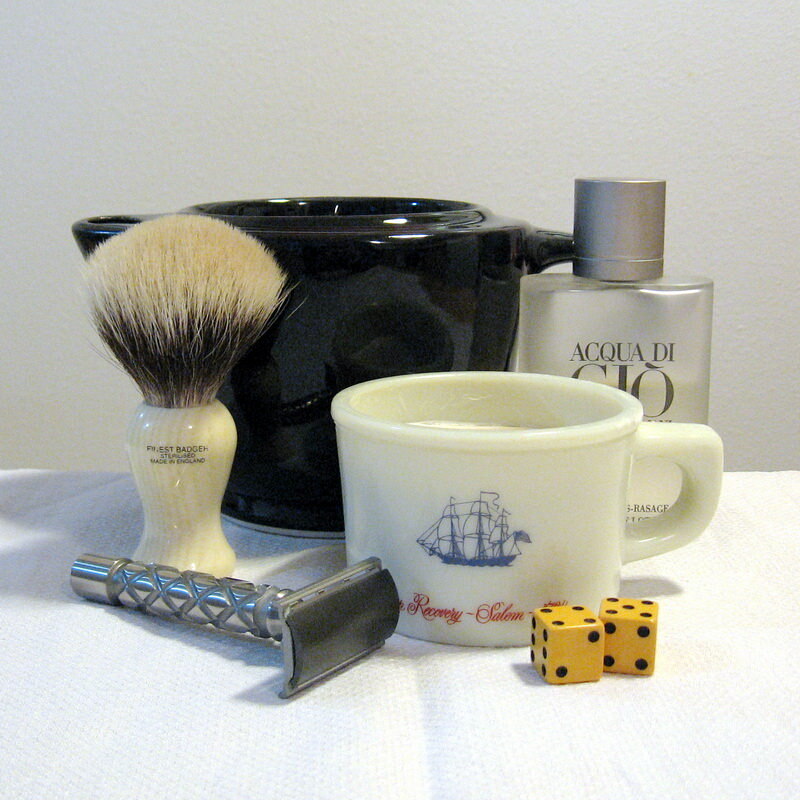 Another great shave. Just an almond sized scoop of the cream made way too much luxurious, rich lather. I like its scent, which is not overpowering at all; it reminds me of Penhaligon's Hammam Bouquet but is somewhat less pungent. 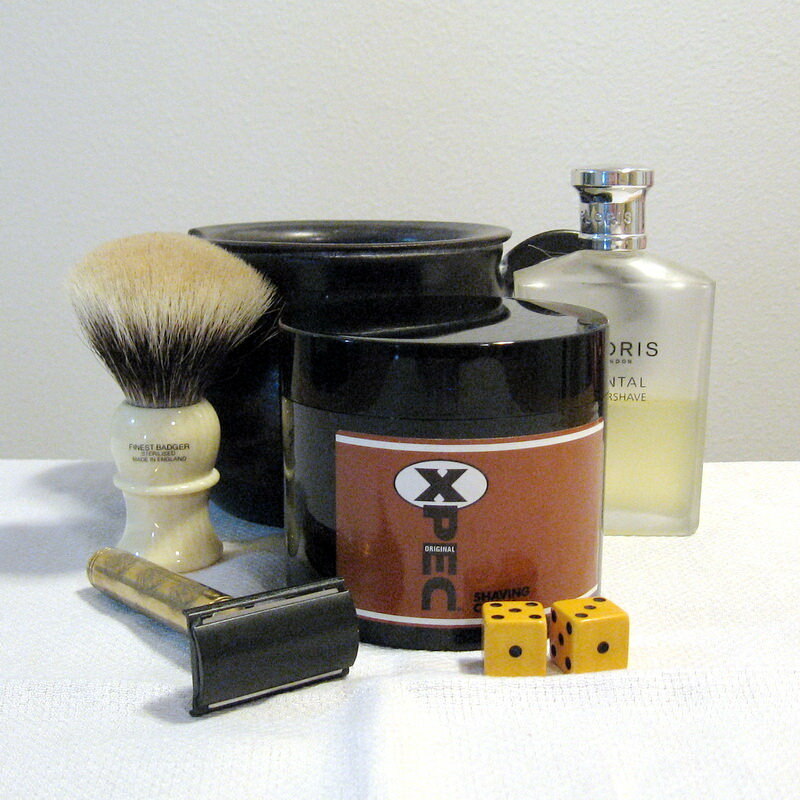 The blade continues to give me a very smooth, close shave, and the Santal was a perfect finishing touch. Today's return to the usual brush and the new tallow based UK made soap was a winner.